Corcomroe Cistercian abbey is situated in a fertile valley in the unique limestone landscape of the Burren, Co. Clare. 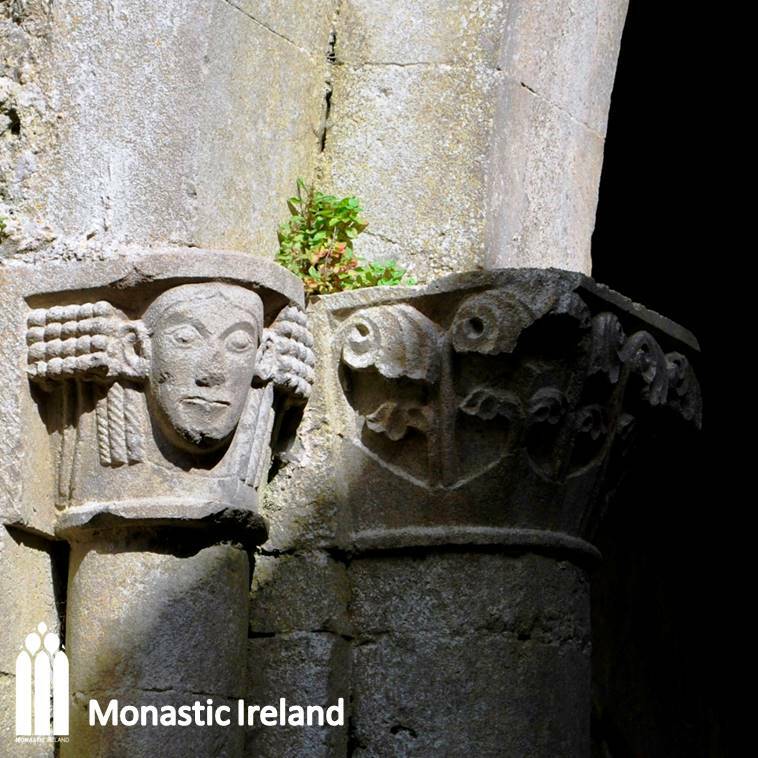 Although no sources refer to its foundation, it is probable that the monastery was founded by Domhnall Mór O’Brien c. 1194 as part of his policy of patronage of the church and strengthening his rule in the region. 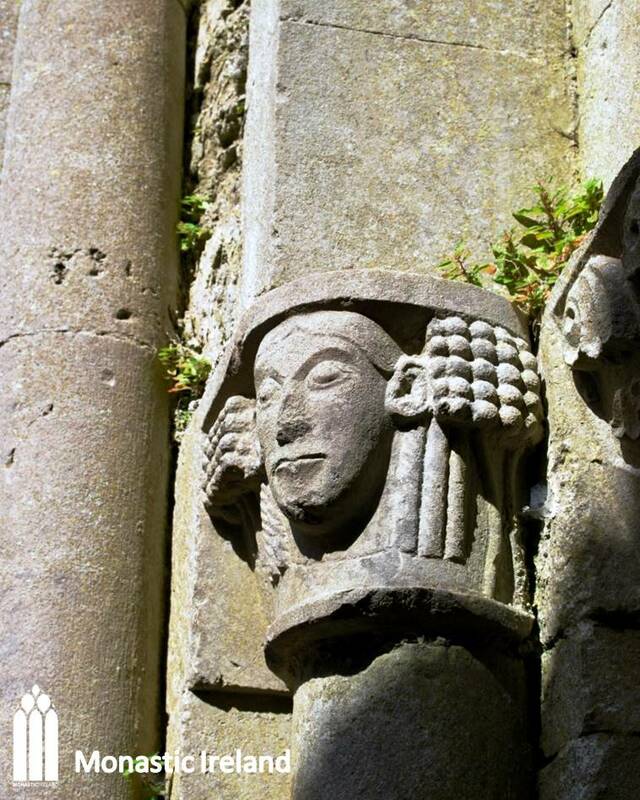 The eastern part of the buildings, with rib-vaulted chancel and finely carved capitals reflect the work of a group of craftsmen working in the west of Ireland during the late twelfth and early thirteenth centuries known as the ‘School of the West’. 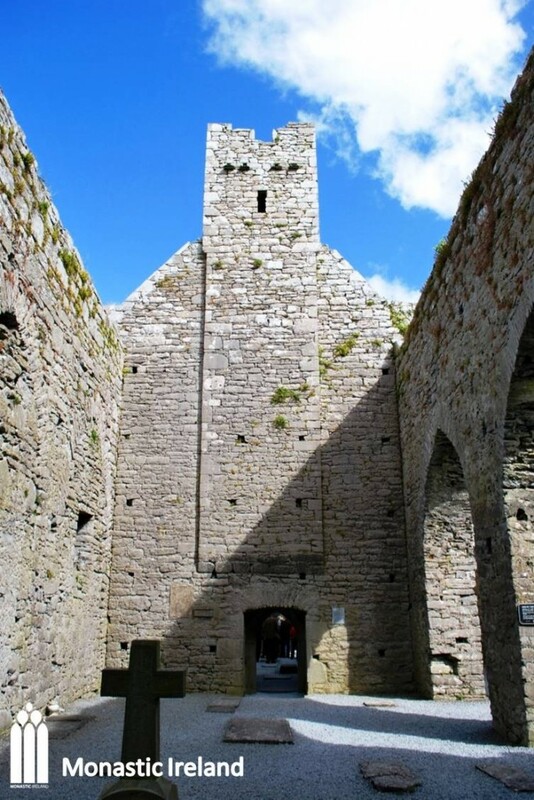 With its precinct wall, abbot’s house, gatehouse, hospital, aisled church, cloister and domestic ranges, this monastery would have been a conspicuous landmark in the medieval landscape of the Burren. There is no definite proof that Domhnall Mór O’Brien, king of Munster (d. 1194), founded the Cistercian abbey at Corcomroe other than the circumstantial evidence that he was a significant patron of the order – endowing the great monastery of Holy Cross, Co. Tipperary – and that he was the most powerful king in the region at the time. During a career that lasted almost three decades, Domhnall at various times made allies or fought with a series of Irish provincial kings and Anglo-Norman magnates alike. 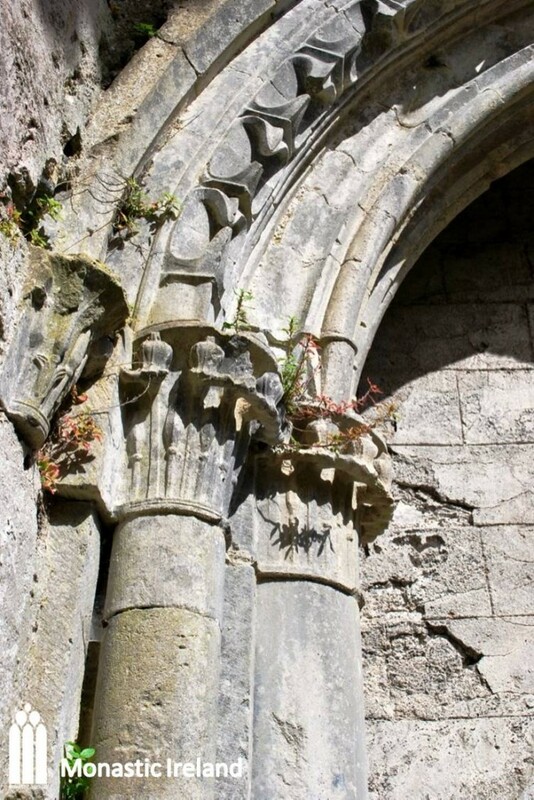 His relationship with the high-king Ruairí O’Conor was fractious, although both kings were clearly patrons of the ‘new’ orders and the Irish Romanesque ‘School of the West’ style flourished in both their kingdoms. Domhnall exerted his authority over the local kings, the O’Conors of Corcomroe, when he killed Mac an Leithdheirg O’Conor in 1175. 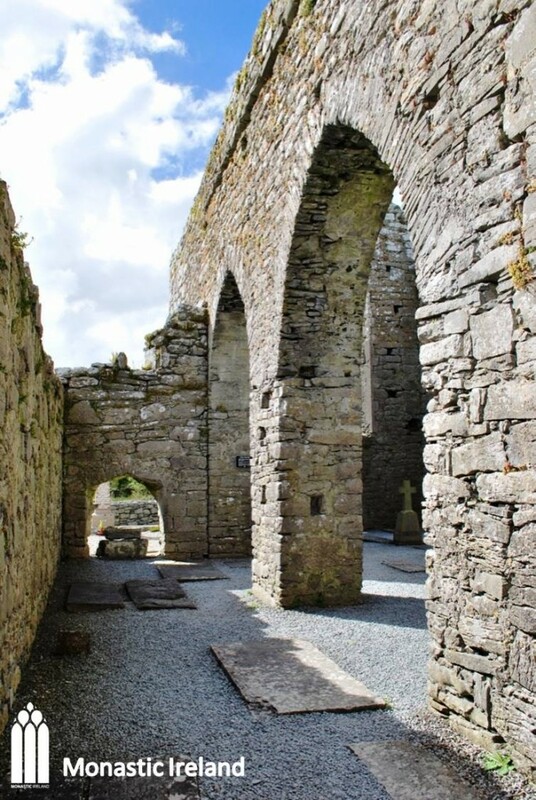 The site of the monastery was on the border between O’Conor and O’Loughlin territories and as in many such cases, may have been chosen for that very reason. This may also explain why in 1317, the battle of Corcomroe (also known as the battle of Lough Raska), was fought between factions of the O’Brien dynasty and their Anglo-Norman allies for supremacy of Thomond. 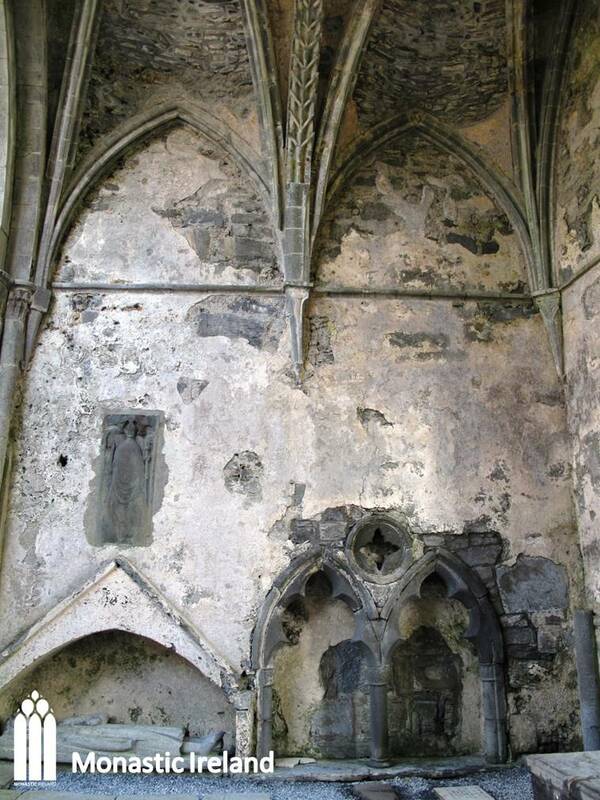 A tomb in the north wall of the choir of a crowned king with a sceptre is said to be that of Domhnall’s grandson Conor na Siudaine O’Brien, also a patron of the Cistercian order, who was buried in the monastery in 1268. During the thirteenth century the order complained that the abbots of Corcomroe did not attend the General Chapter at Cîteaux (France), probably due to their inability to fund such a long journey. Corcomroe was the home of a branch of the Ó Dálaigh bardic poets, one of whom, Cearbhall (d.1404), is the subject of a fanciful tale ‘The elopement of Fearblaidhe’ which tells of his elopement with the daughter of the king of Scotland. 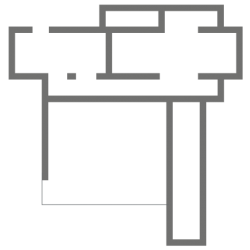 Cearbhall was buried in the monastery. The O’Donnell lord of Donegal, Red Hugh O’Donnell (d. 1602) stopped on two occasions with his troops at Corcomroe while raiding the region. 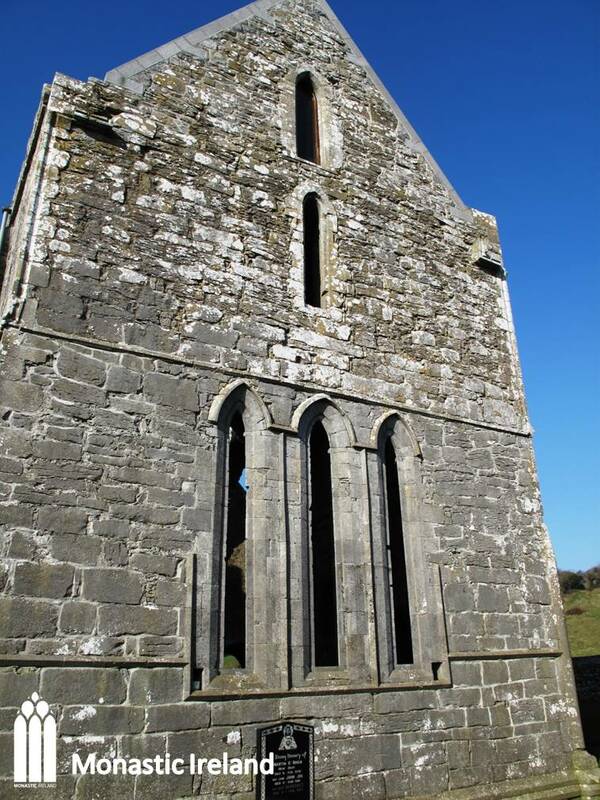 The monastery passed into the possession of the O’Brien earls of Thomond in 1554 although an abbot continued to be elected until the early seventeenth century. 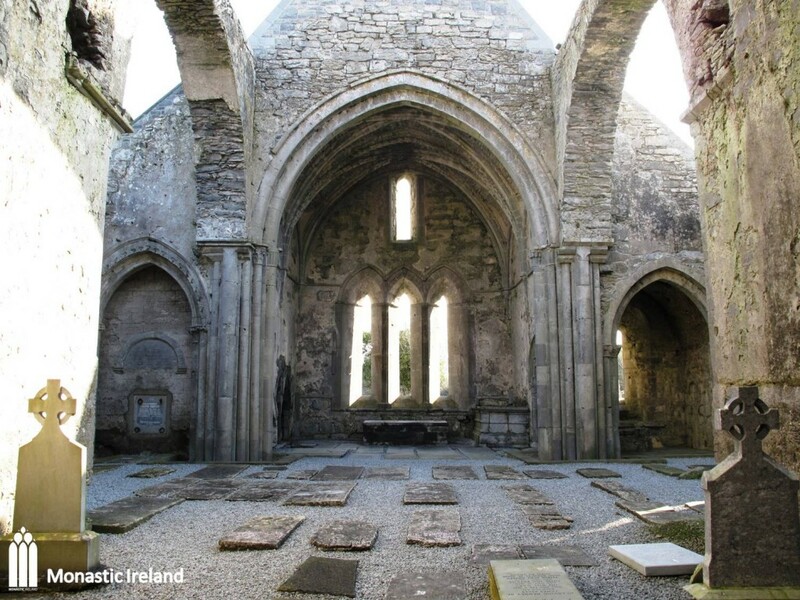 This Cistercian monastery appears at first sight to express all the characteristics of a Cistercian house – seemingly located in an isolated place and adhering to an austere style of architecture. This image is somewhat deceptive as it is located on fertile ground –as its designation ‘St Mary’s of the Fertile Stone’ suggests – and from the evidence of its landscape and buildings was a busy, if rather small, settlement. The Burren is littered with archaeology of all periods that implies the existence of a relatively populous countryside. 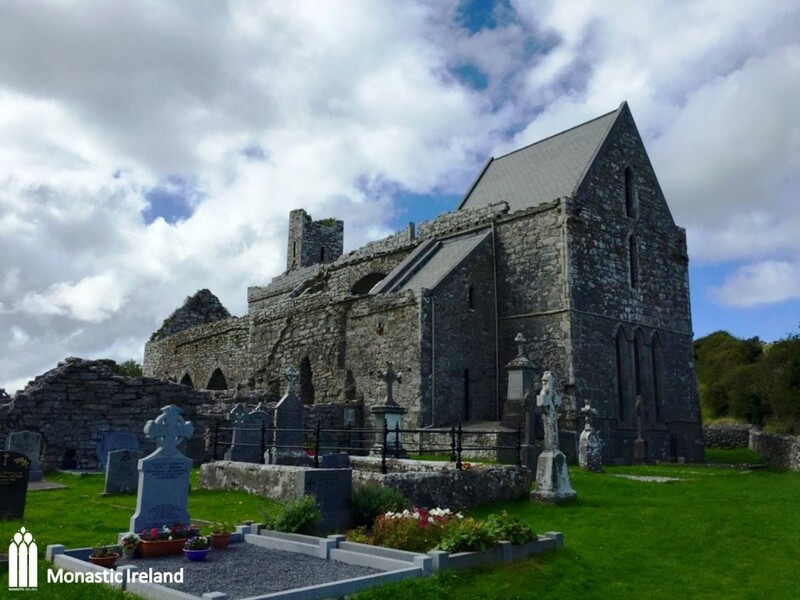 In the Corcomroe valley to the east are the early Christian churches of Oughtmama dedicated to three saints named Colmán. 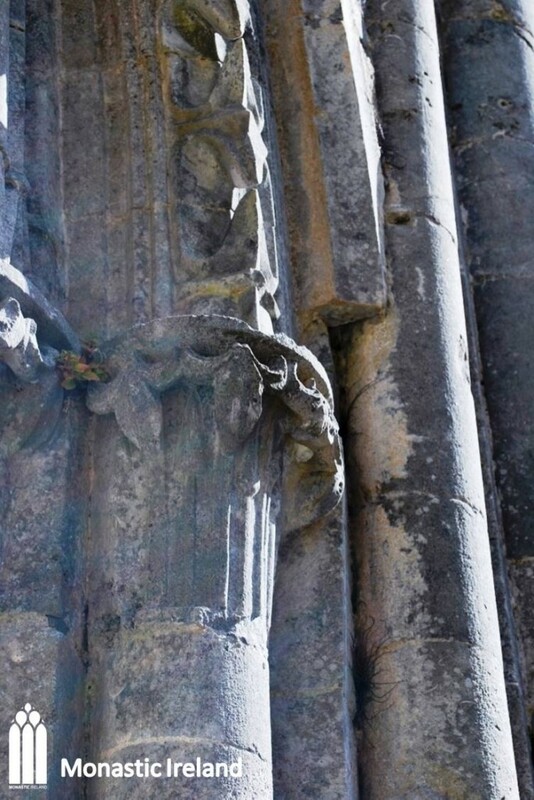 The church at Corcomroe was probably built in the early thirteenth century and even though the original plan may not have been completed due to lack of resources or the aftermath of famine, the many fine artistic and architectural features point to the use of excellent craftsmen at various times. The presbytery is one of the most refined pieces of architecture of the period. Inside the space is covered by a delicate ribbed vault and lancet window of the presbytery, the decorated sedilia which are articulated with up-to-the minute moulded detailing. The capitals are carved with realistic renditions of plants such as lily-of-the-valley, opium poppy, deadly nightshade and foxglove. 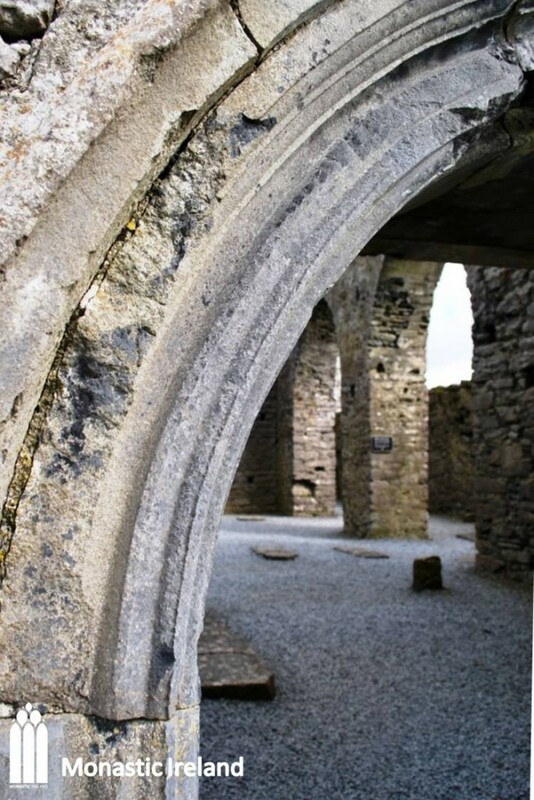 As none of these is native to the Burren, it is assumed that they reflect the contents of the thirteenth-century monastic garden. 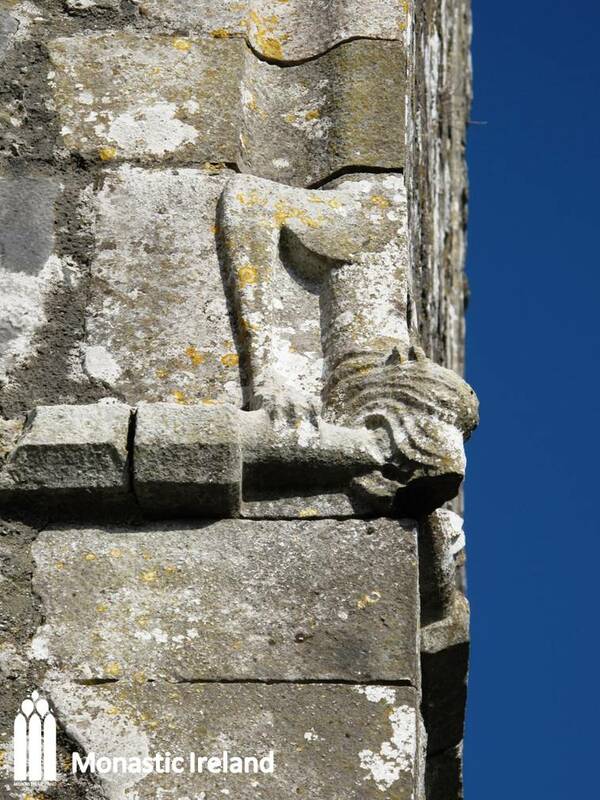 Also of interest are the beasts that clasp the outer angles of the presbytery, the location of the reputed tomb of Conor O’Brien. Careful scrutiny of some of the remaining plaster on the interior wall also reveals laying out marks for the medieval window tracery and some remnants of paint.